Delhi Folks, You Can Now Enjoy A 7-Star Movie Experience! Love watching movies at the theatre? Well, your movie-viewing experience is about to get a whole lot better as Delhi’s finally got its first laserplex theatre at the new INOX in Nehru Place. 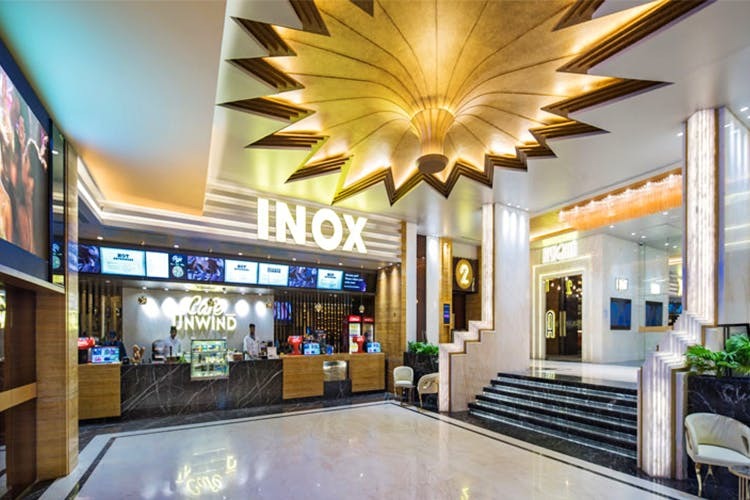 Having opened in March 2018, Nehru Place’s INOX promises the best of technology and luxury. For starters, this theatre has a laser projection format that supposedly enhances picture quality by 300% (as compared to the regular movie halls). Dolby Atmos sound and the brightest 3D screens with Volfoni 3D sytem are other really cool tech features here. Coming to the luxury bit, INOX Nehru Place has leather recliners with micro-adjustable headrests and touchscreen control panels that allow you to avail a dedicated butler on-call service. Yep, this means no running to the food counter just in time for intermission. Also, the gourmet menu has been curated exclusively by celebrity chef Vicky Ratnani. Larger than life interiors and personalised ticketing service are some other features of this laserplex that we’re excited about. So, save up now, this movie experience will be worth it! Book tickets here.